For such a compact country, Jordan has an overwhelming collection of ancient sites & unique geographical features ready for exploration. 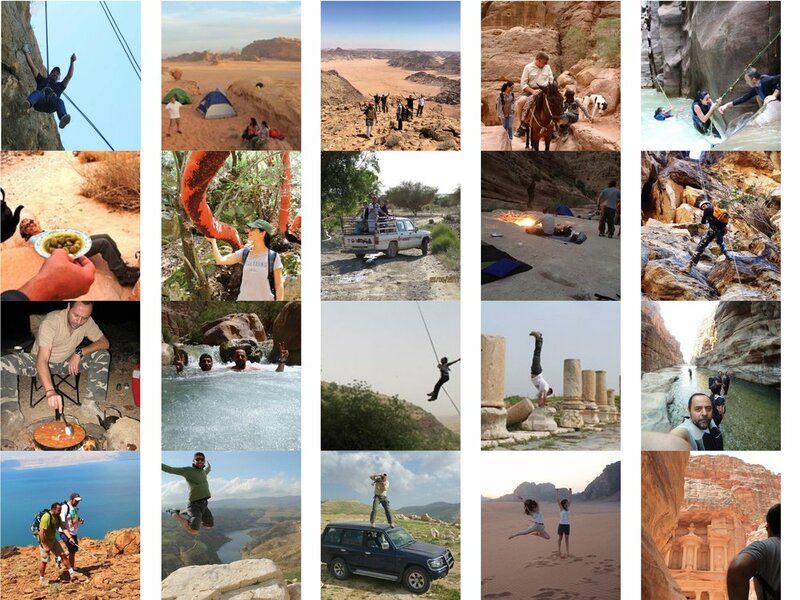 We offer a range of exciting and original adventures in Jordan in a carefully selected areas of the Jordanian wilderness These are unique and personalized adventure tours in Jordan, for a maximum of 20 people per event. We can mix and match locations or activities visited. After reading the offerings please contact us if you want to discuss further tailoring of the proposed itinerary. We have carefully selected places to visit based on years of experience exploring these regions and experiencing them first hand. Each of our programs takes you in a journey throughout Jordan's natural, cultural & ancient locations. The activities are of various grades from Easy to Difficult. The routes we offer vary from easy walks for daytime hikers and medium challenging routes to difficult technical ones. Your safety remains our main concern as we guide you through each and every step you take into the wilds Jordan. We follow the British System. For a detailed explanation of grades used please go here. We can help you plan your own trip as we know of many special routes not well traveled so your experience will be unique. We make your trip to Jordan worthwhile.